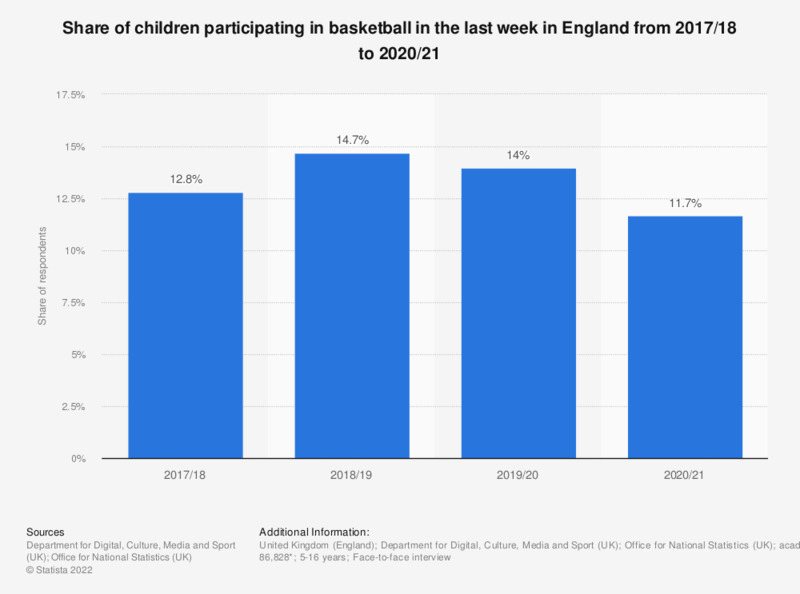 This statistic presents the share of children who had participated in basketball in the last 4 weeks in England, as of annual surveys conducted between 2010/2011 and 2017/18. In the period 2013/14, around 33 percent of children aged between 11 and 15 had participated in basketball in the 4 weeks prior to the survey. Since then, the participation rate has been falling, reaching 20.9 percent in 2017/2018. Types of sports high-income household members regularly participated in in the U.S.